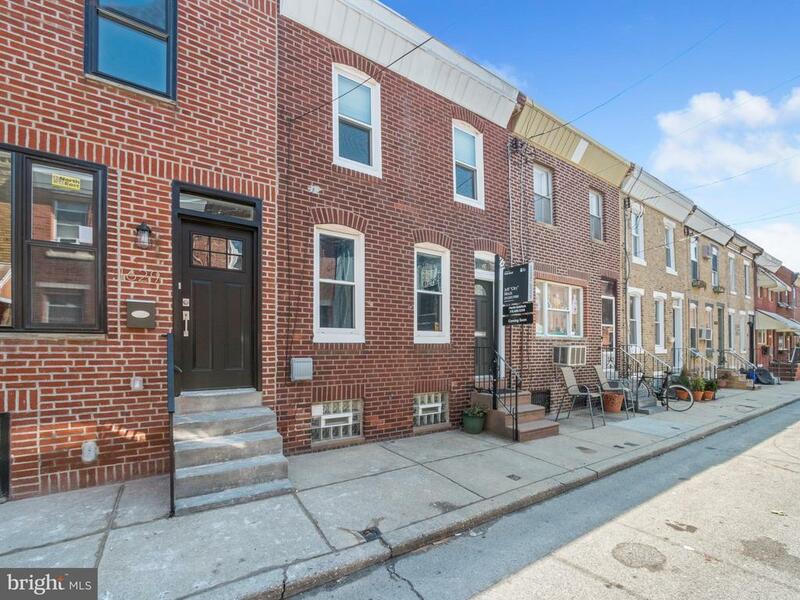 Stunning home on a highly sought after East Passyunk block. This spacious 2 bedroom, 1 bath residence features updated kitchen and bath, original hardwood floors throughout (1st floor: pine with walnut inlay, 2nd floor: random width pine floors), roof deck with Center City skyline views, high velocity central AC, and plenty of storage. Ideal location; just two blocks from the Broad Street Line and a short walk to some of Phillys most celebrated restaurants (Laurel, Townsend, Barcelona Wine Bar, Green Eggs, and Hardena to name a few), cafes, shops and all that East Passyunk and Passyunk Square have to offer.